Yahoo! didn’t have an iPad app for Finance. The closest thing was a defunct app called MarketWatch. 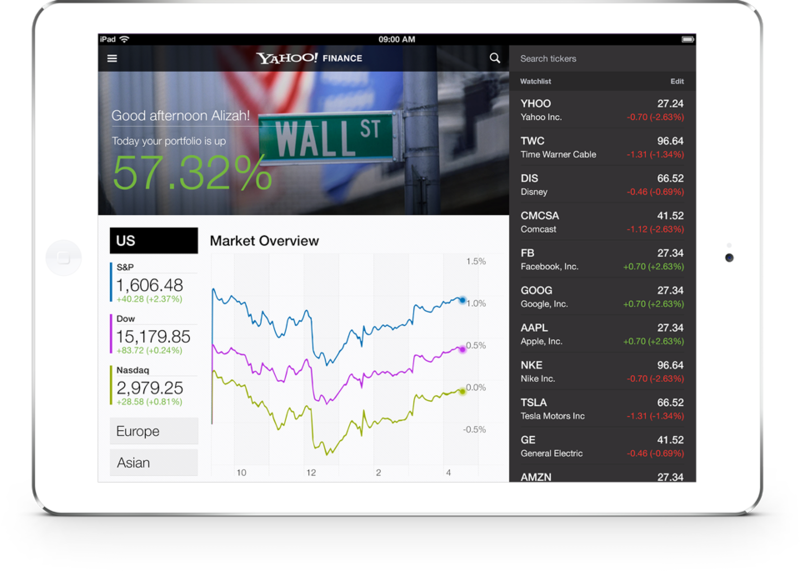 In conjunction with designing the Finance app for iPhone, I also designed the iPad version. 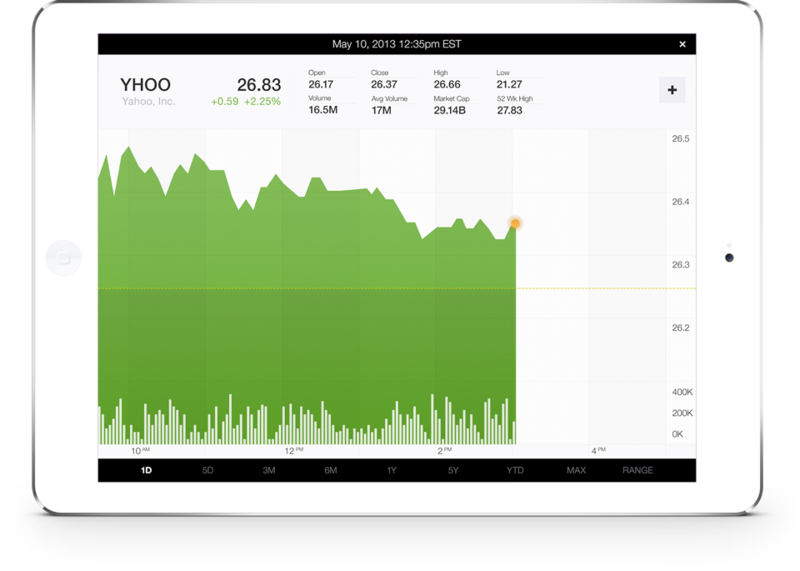 Similarly, the goal was for it to look and feel like it fit with the new Yahoo! 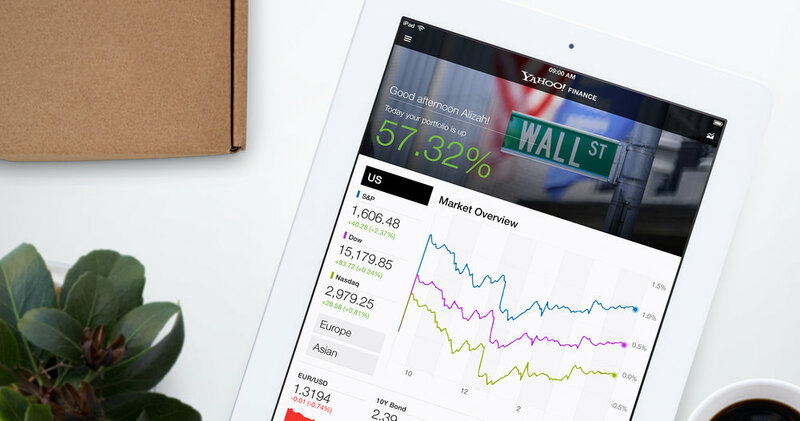 app and Apple-awarded Yahoo! 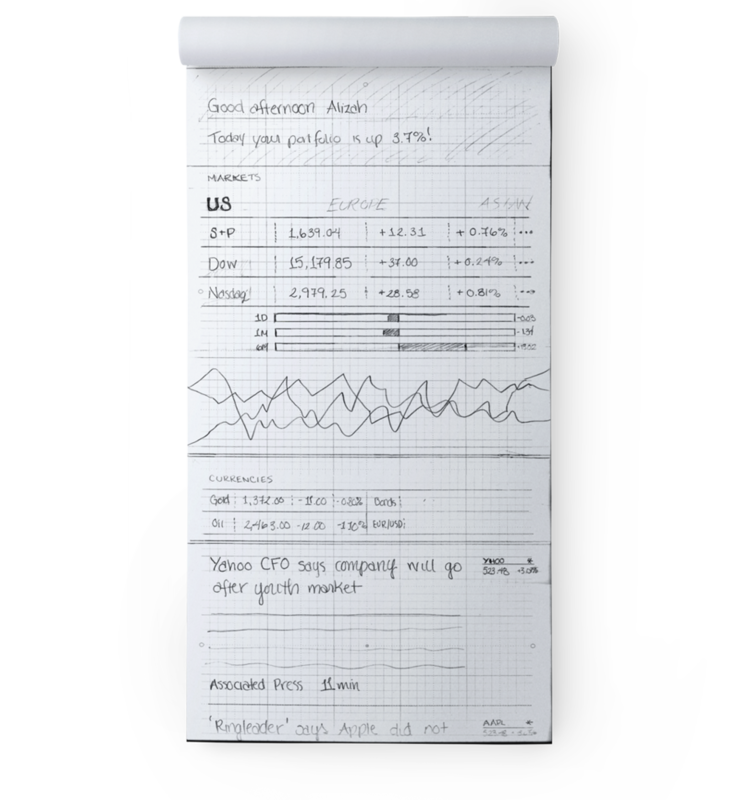 Weather app (meaning big visuals, clean typography, and a feed of cards that contained news, stock information, etc., personalized to each individual user).